What you should know about mixing tires on your vehicle. In order to achieve optimal driving characteristics Continental recommends that the same tires are fitted on all wheel positions of your vehicle. In other words tires of the same brand, tread pattern tire size, load index and speed symbol should be fitted all round. Especially important is that the tire size load, index and speed symbol are in accordance with the vehicle manufacturer’s specification for all wheel positions. In many countries, this is a legal requirement. Driving your vehicle with a non-recommended mix of tire sizes, constructions, and speed ratings can be dangerous and illegal. 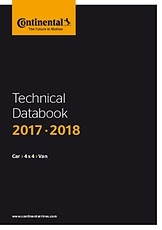 Follow the vehicle manufacturer’s recommendations and/or seek the advice from a trained tire specialist if you consider upgrading your tires with different sizes, constructions, load ratings or speed ratings. Why is tire rotation beneficial? To achieve uniform wear and to maximize tread life, your tires should be regularly rotated. Follow the vehicle manufacturer’s recommendation for the rotation pattern and interval. Unless otherwise specified by the vehicle manufacturer, Continental recommends to rotate the wheels axle-wise at regular intervals. For example when changing from summer tires to winter tires or at mileage intervals of between 5000 km and 10000km, or sooner if uneven tread wear begins to appear. If tires start to show uneven tread wear, ask the service person to check and/or correct any vehicle wheel misalignment or other mechanical problem. Full-size spare tires (not temporary spares) of the same size and construction as the ground contact tires should be included in the tire rotation. Always check and adjust the inflation pressure of the full-size spare when incorporating it into rotation. Adjust the tire inflation pressures according to the vehicle manufacturer’s recommendation for the new wheel position (specified front and rear position tire pressures may be different). Rotation of your tires may affect the Tire Pressure Monitoring System (TPMS). Consult your vehicle owner’s manual or a qualified service professional to make the proper adjustments or recalibration of the system. Can I mix different tire brands and different tread patterns on my vehicle? We recommend that the same tires are fitted on all wheel positions of your vehicle. If however due to availability or economical considerations mixing is necessary, than it is permissible to mix brands and tread patterns as long as the same tread patterns and brands are fitted across the same axle. It may also be possible to mix load index and speed symbol as long as the load index and speed symbols are above the minimum vehicle manufactures recommendations (extra load vs. standard load). In such cases the higher rated tires should be fitted on the rear axle. Can different tread pattern depths be mixed? If it is decided to only replace 2 tires on your vehicle then the new tires will probably have more tread depth, than those remaining on the vehicle. Mixing of different tread depths is generally permissible. The tire industry recommends that the new tires should be fitted onto the rear axle. Placing greater grip on the rear axle is generally recommended to prevent a possible over steer condition and loss of vehicle stability on slippery surfaces. Some car manufacturers recommend installing the newest tires on the front axle. Consult with the car manufacturer and / or tire specialist for further information. Exception for approved mix tire fitments. Some vehicles may come factory equipped with different size tires fitted to the front and rear axle. 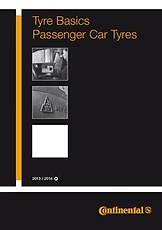 For these approved mix tire fitments, you should follow the car manufacturer’s recommendation.